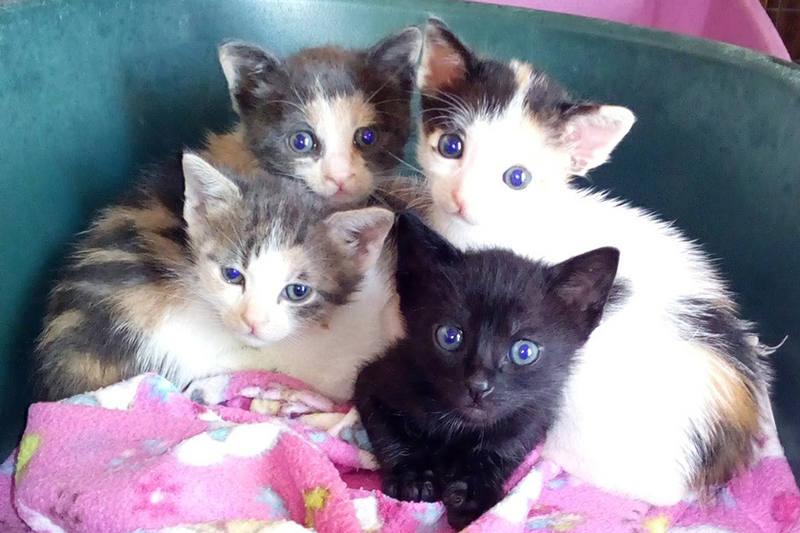 The sweetest litter of orphan kittens around 6 weeks of age, Mummy was knocked over and killed on the roadside. 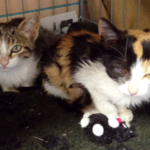 Very sad and frightened on arrival bottle fed first few weeks, now weaned they are gorgeous happy kittens. 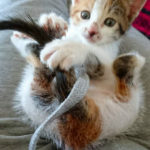 We have two female dumplings calico type coats (grey/beige) they will be big. The tortie female is a typical bossy don`t tell me what to do tortie! The black boy has a Harry Potter white tipped tail stunning sleek creature. All are very cuddly and humanized, they can go to their new homes in 2 weeks if adopted here we will vaccinate, microchip and if with us long enough neuter them. If anyone can adopt please contact us if you cannot we need donations for their care and tickets to the UK.